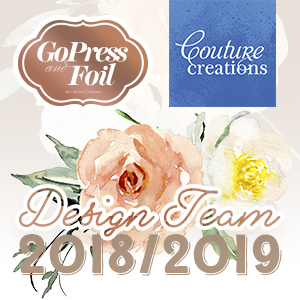 The nested Cut Foil and Emboss dies were another game changer from Couture Creations and Joanne makes this card in a wonderfully creative way here by using them for cutting and foiling both the mat and the later of the panels on the front of the card. Have you tried the nesting Cut Foil and Emboss dies yet? If so, what do you think?